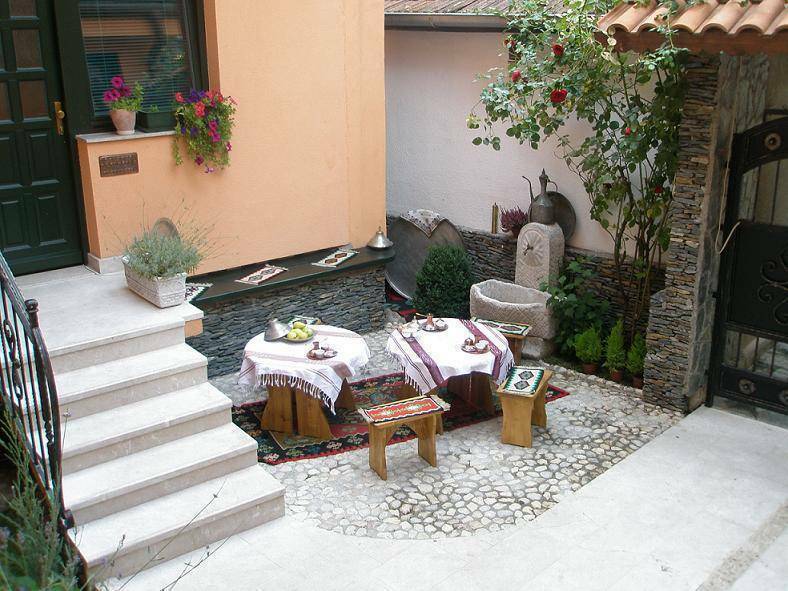 The Guesthouse is located in old part of Sarajevo, in the heart of old bazaar Bascarsija. 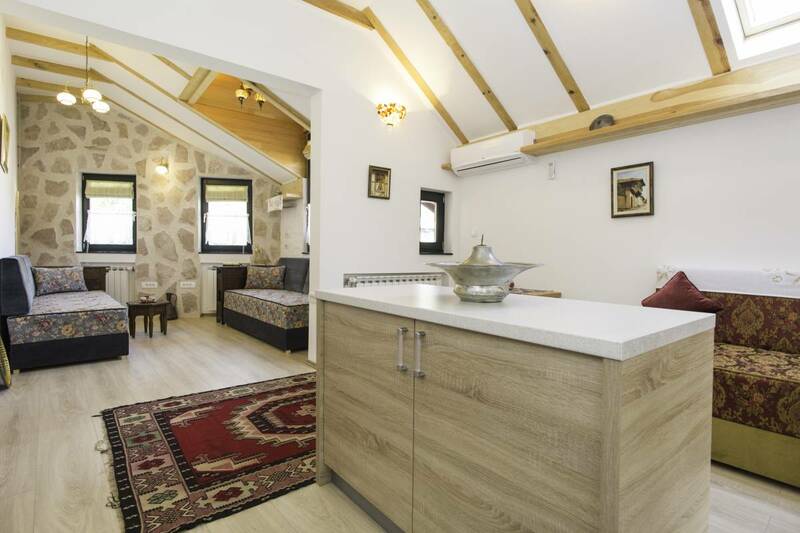 Kandilj is a newly built guesthouse, fully adapted to the modern way of life while maintaining the Eastern spirit and allowing guests to experience traditional Bosnian atmosphere. 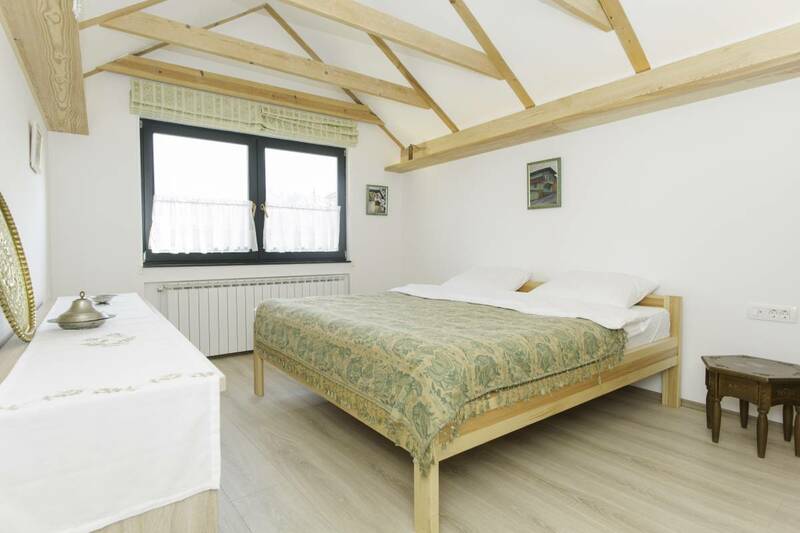 Kandilj is suitable for accommodation of domestic and foreign businessmen and tourists arriving to visit Sarajevo. 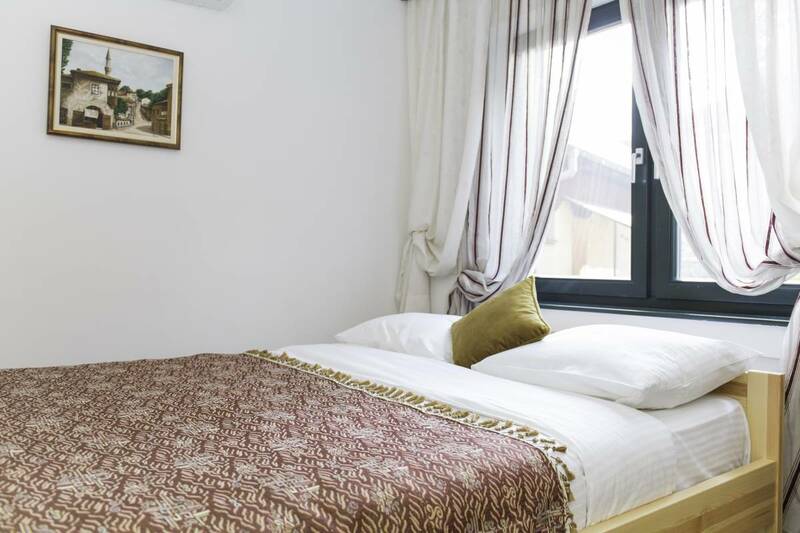 Kandilj is equipped with 10 rooms and the total of 28 beds, with full bed & breakfast service. All rooms are air conditioned, equipped with TV/SAT, direct phone line, broadband internet (for guests free of charge), bathroom and toilet. 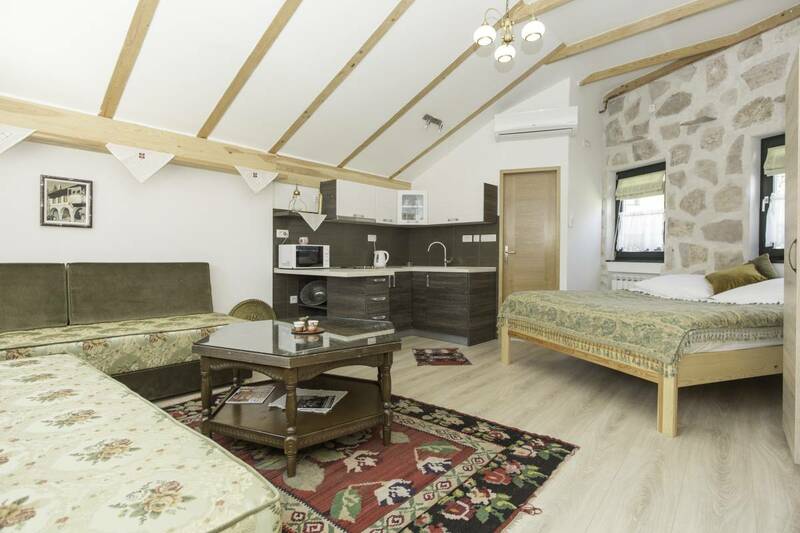 Rooms are decorated in the traditional Bosnian way, art paintings and handcraft, depicting our rich history and culture. Guests have at their disposal a sitting room for afternoon rest, whose interior also captures the traditional Bosnian style, where guests can relax, entertain and finish their daily work. Sitting room is also equipped with TV / SAT program and public internet access. Guests are welcome to help themselves with non alcoholic beverages, traditional Bosnian coffee and other warm beverages. Specially, all our guest have provided transportation from the airport, train station and main bus station free for all our guests the vicinity of the Guest house there is a large city parking where guests can park their vehicles. The price of parking is not included in the price of stay. Bosnian Food in a landmark setting. Discount is possible with the agreement! Payment is possible only directly at the reception card or cash! Cancellation of booking is possible not later than 48 hours before the arrival of the facility! 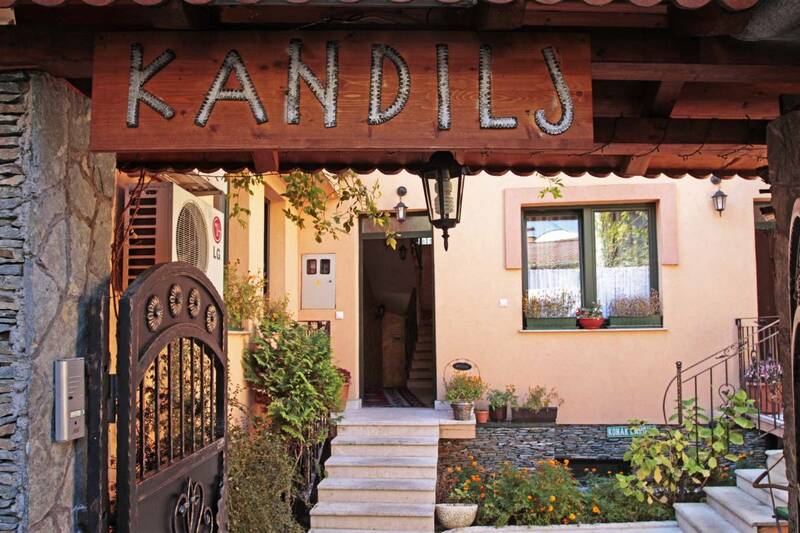 Kandilj is located in the heart of the old city but in a quiet urban area with all its advantages and true spirit of Bosnia!We are located 200 meters away from the bridge Latin cuprija (assassination attempt on the king Austrougarske World War II) and 100 meters from the heart Bascarsije called Sebilj.